I took a little blog break because I went to Hawaii! But now I'm back with a few books I read in the last month. Fablehaven: Rise of the Evening Star by Brandon Mull which is the second book in the series. This book started off stronger than book 1 for me, and I enjoyed it. I am, however, debating whether to pick up the rest of the series. The books are good, I just don't love them. But I feel this intense guilt if I don't finish the whole series because I'm wacky like that. Ashes by Sophie H. Morgan. I "know" Sophie online because she's a fellow Samhain author and I was psyched to finally read this book. It was awesome! A page-turner, with a kick-A female MC and a swoony love interest. It blends a lot of genres which could've turned out disastrous but totally worked for the story. I can't wait to read another book by Sophie. The Darkest Hour by Caroline Tung Richmond is a story set in World War II about girls who work as spies for the Allies. I loved the different characters and loved the twists in the book. It could've used a little romance for my taste, but otherwise an excellent read. Wedding Bands by Ev Bishop is a second chance romance story that I really enjoyed. Like most romances, you know they're going to get together eventually, but it's fun reading about the journey. There was also a little twist at the end which I didn't anticipate. I participated on a panel with Ev Bishop at a con over the summer and she was lovely. 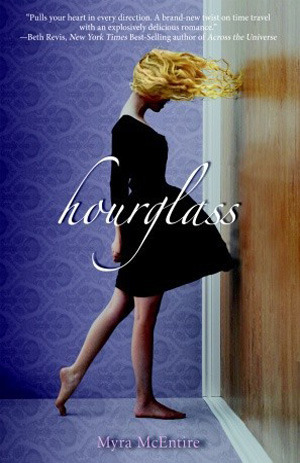 I also did a couple of rereads: Hourglass and Timepiece by Myra McEntire. I've had the third in the trilogy (Infinityglass) sitting on my shelf since last Christmas, but it's been so long that I needed to reread to remember the story. I think I enjoyed these two books more this time than I did the first time. I love time travel, and the voice is so spot on in both books, though they're from two different POVs. So far Infinityglass is living up to my expectations. So it's been a good reading month. What have you read lately?